Feb. 16: Caroline Davis’ Alula + Michael Dessen Trio – Sound It Out! 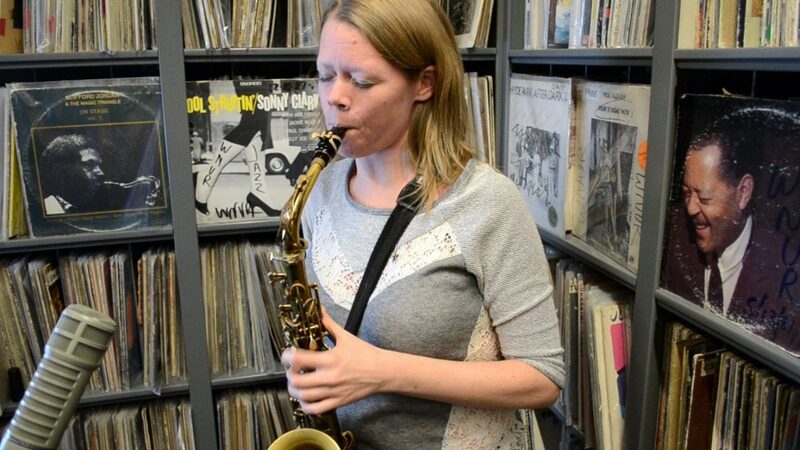 This double-bill presents two Sound It Out debuts… The second half of the evening will see saxophonist Caroline Davis making her series debut at the head of her trio Alula, featuring pianist Matt Mitchell and drummer Dan Weiss. Caroline’s playing has been praised by JazzTimes for its mix of “warmth and daredevilry.” She will be celebrating the release of a new Alula single via New Amsterdam Records. Dan will also be behind the kit for the opening set by a group led by trombonist Michael Dessen, making his Sound It Out debut in a visit from California. DownBeat has called Michael “a musician for this moment.” His trio also includes bassist Chris Tordini, plus vocalist Fay Victor – a longtime Sound It Out fixture – as a special guest.